Inspiration: Soft pastel colors, the smell of freshly cut grass, sounds of singing birds and white fluffy bunnies remind me of Spring. 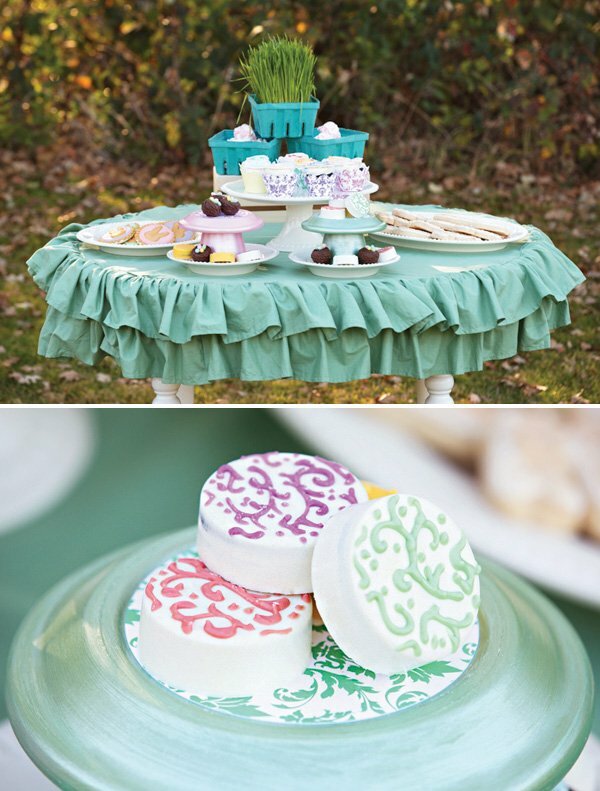 The filigree, lace and damask patterns mixed in with a sea foam green ruffled cloth adds a more traditional feel to this styled dessert table. 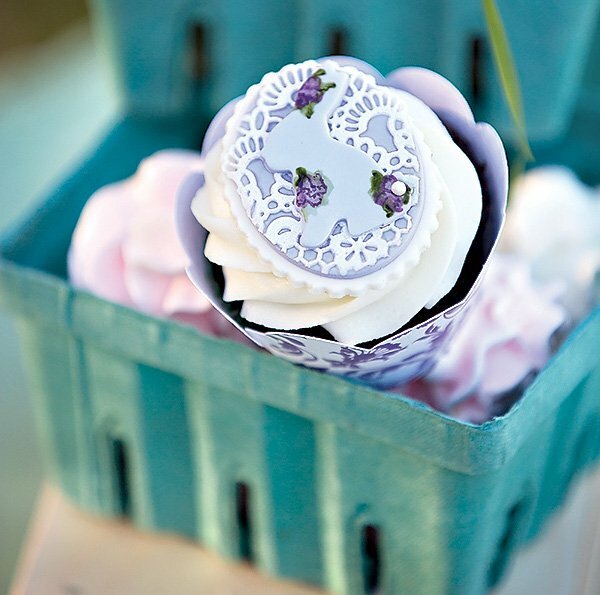 Desserts: Roxane of Fancy Cakes (fondant cupcake toppers), delivers a high quality, specialty product. The amount of detail that goes into her designs makes them one of a kind. The lace and and hand painted floral accents speak for the time and energy she puts into each and every order. The talented Brandi of Painted and Sprinkled created bird’s nest cake pops. 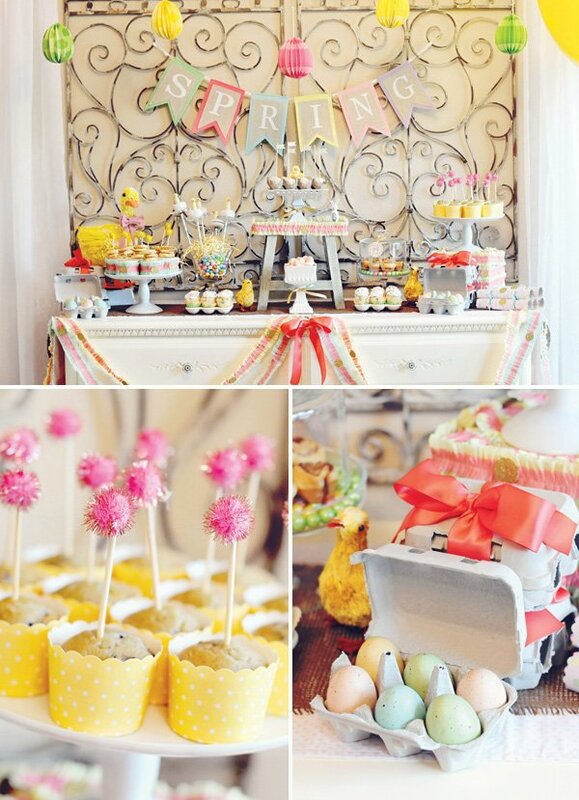 What says Spring more then a bird’s nest filled with pastel speckled eggs! They look so real! Absolutely beautiful. Her attention to detail in creating these beauties was spot on. 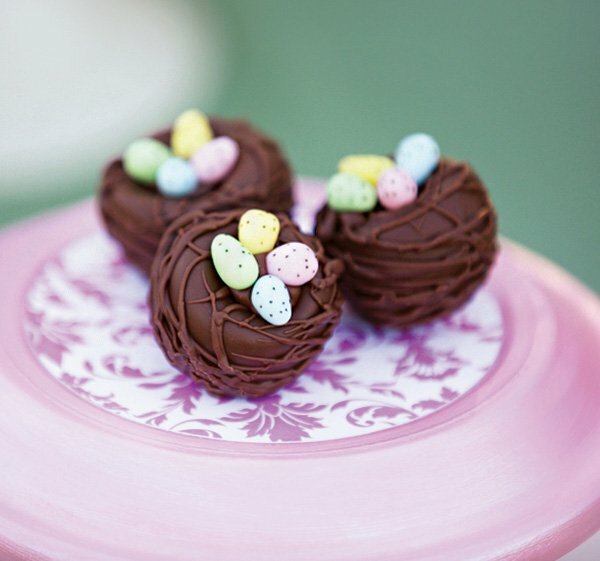 The chocolate swirls mimic branches and the speckled eggs add an element of our favorite Easter candy! 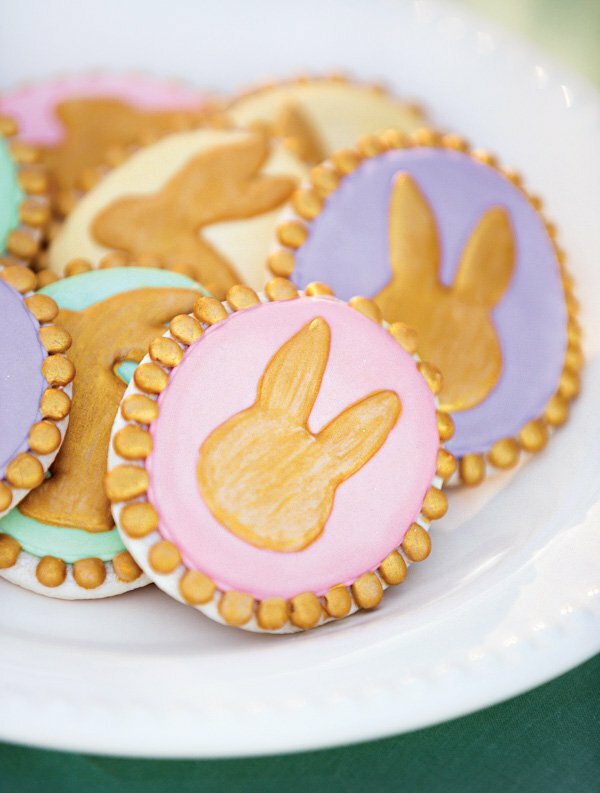 Katherine of Creating Awesomenessity designed Easter inspired cookies with a vintage inspiration. 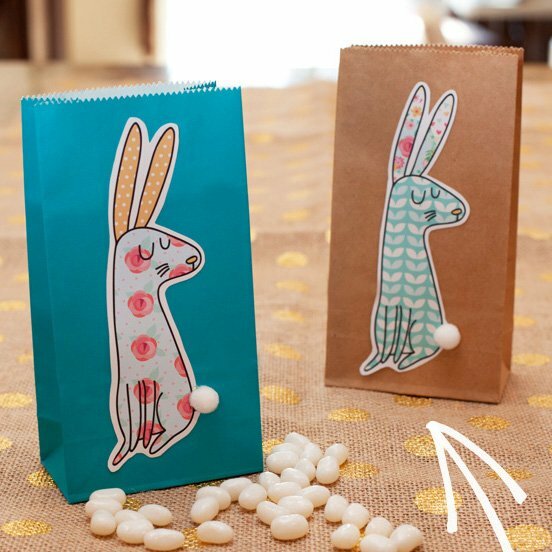 The golden polka dot borders and bunnies almost look like a framed picture, too pretty to eat. Bold and beautiful. I absolutely love chocolate covered Oreos. 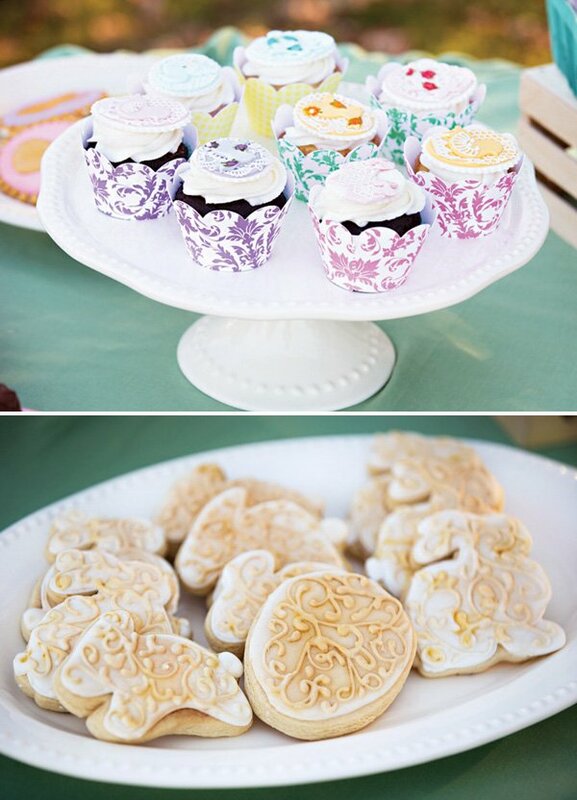 It is amazing what Christina of 4 Kids Cakes was able to do on these little cookie surfaces! I sent her the cupcake wrapper paper designs for inspiration. She was able to replicate the designs on each cookie! If you look closely, each chocolate covered Oreo pairs with a design on the wrappers. 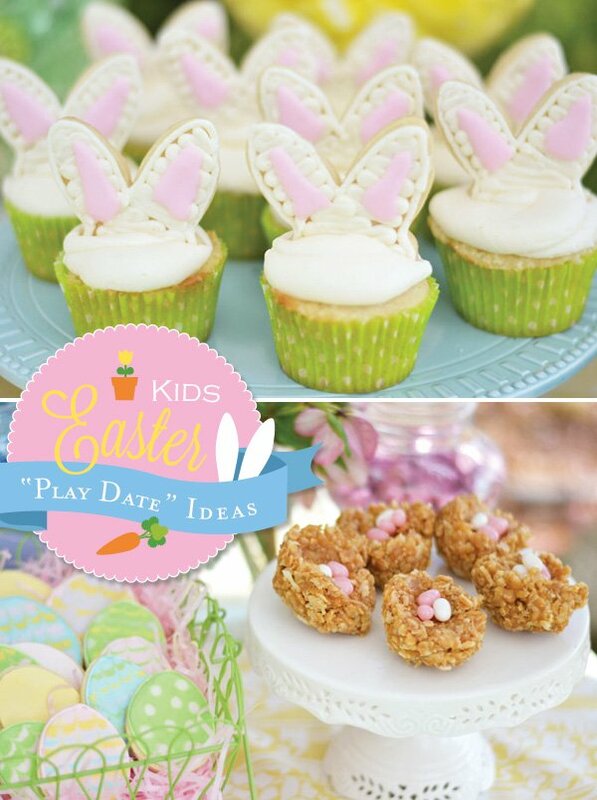 4 Kids Cakes also specializes in fondant work. Christina of Sweet Design Studio, created beautiful pastel French Meringue cookies along with the detailed filigree bunnies. A very romantic cookie! It amazes me how much time goes into the decoration of each cookie. Simply stunning. 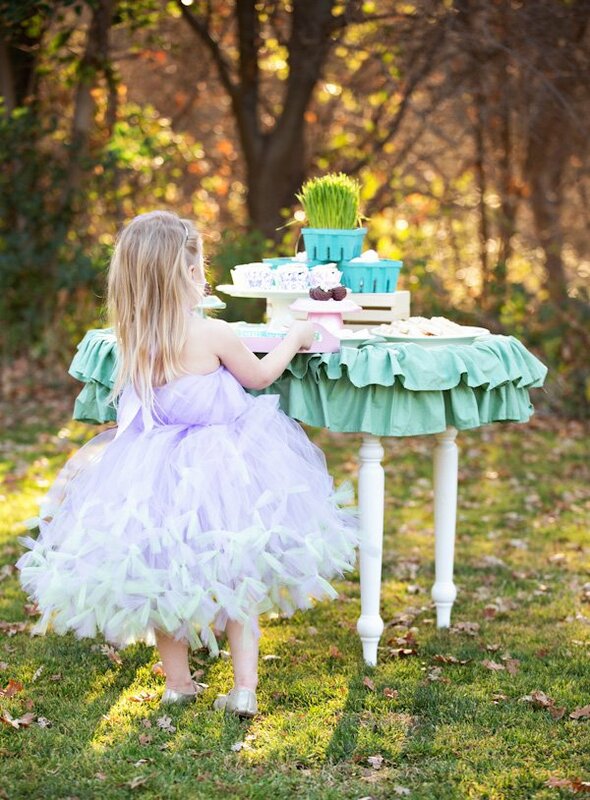 Outfit: Kristal of Atutudes created the most beautiful pastel tulle dress. 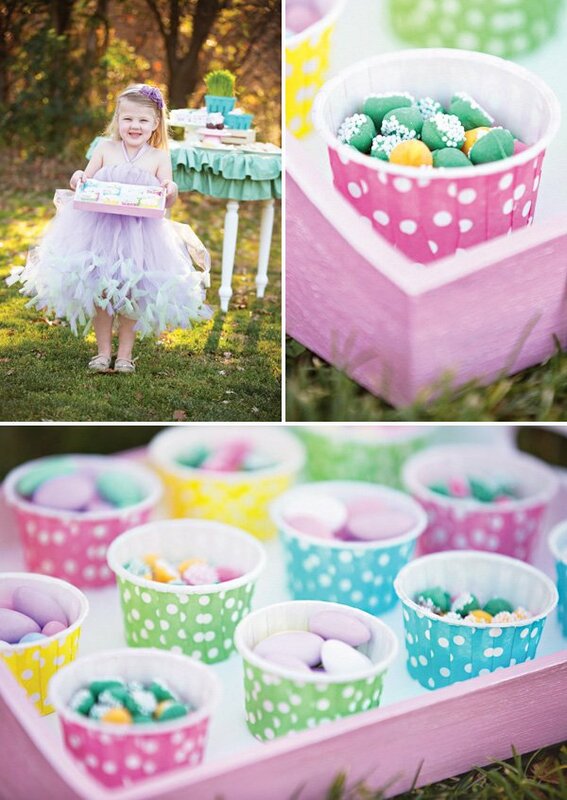 Perfect for an Easter dress! 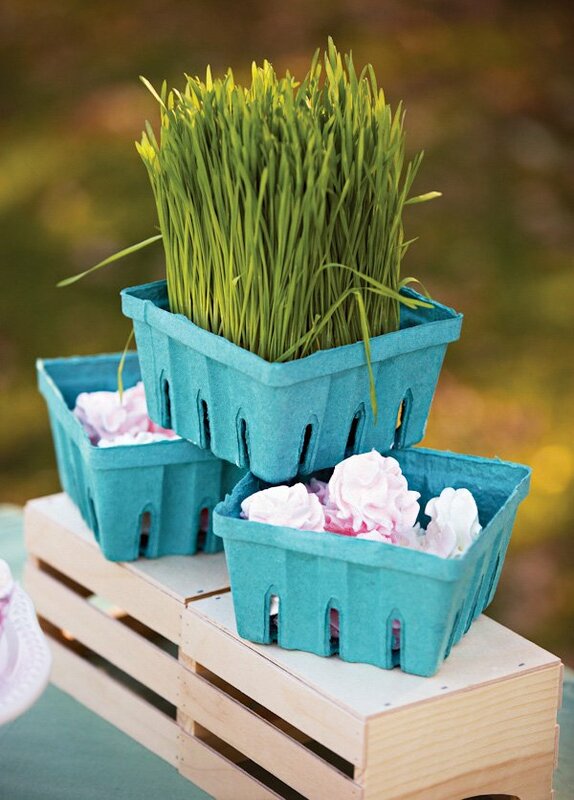 Well, perfect for any Spring photo session or party! I love the satin ribbon and most of all Kristal’s signature design of the tutu skirt. 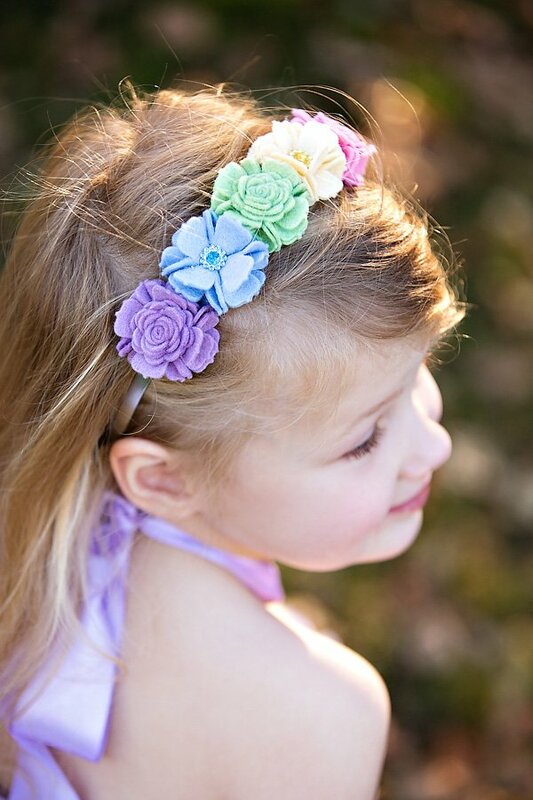 Hair accessories by Special Somethings Boutique are so pretty! 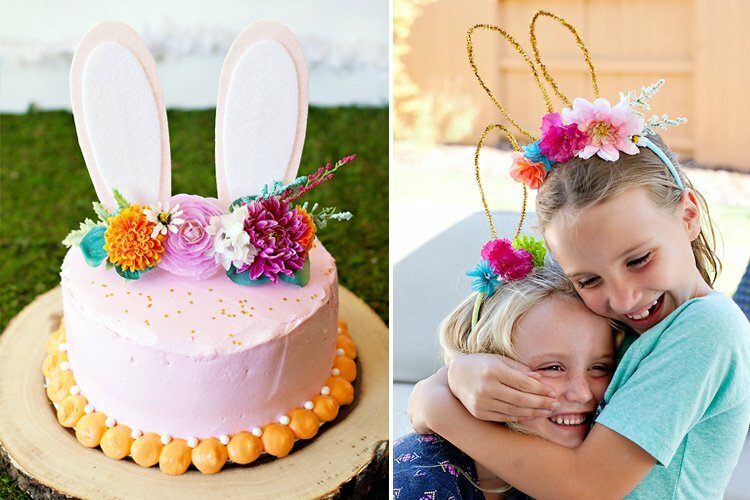 My absolute favorite is the pastel floral felt headband. They look like actual flowers! 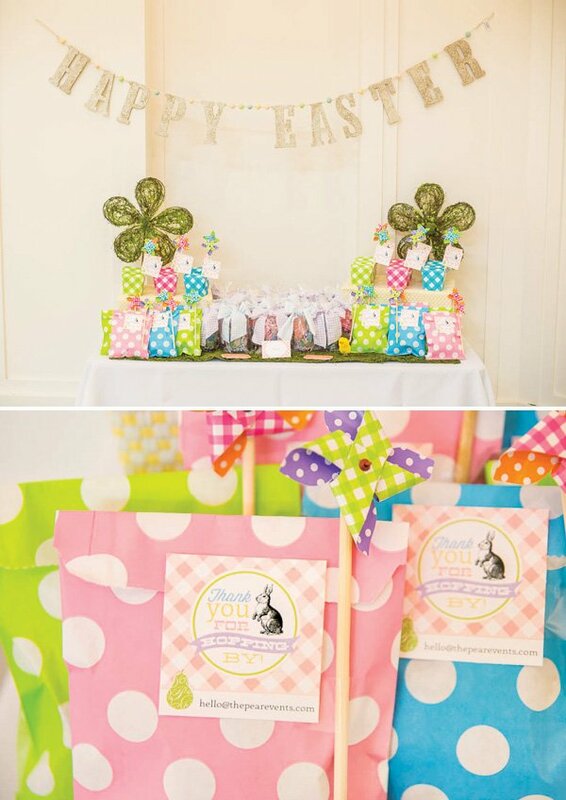 Katie of Katie Moffitt Photography captures the most amazing snapshots! Her work is truly art. These styled shoots would not be as beautiful as they are without Katie. 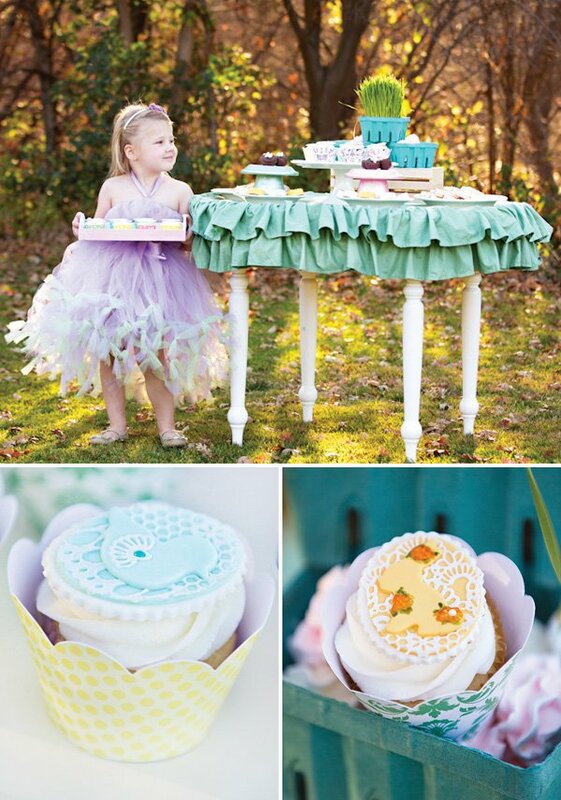 Those cupcake wrappers are darling!